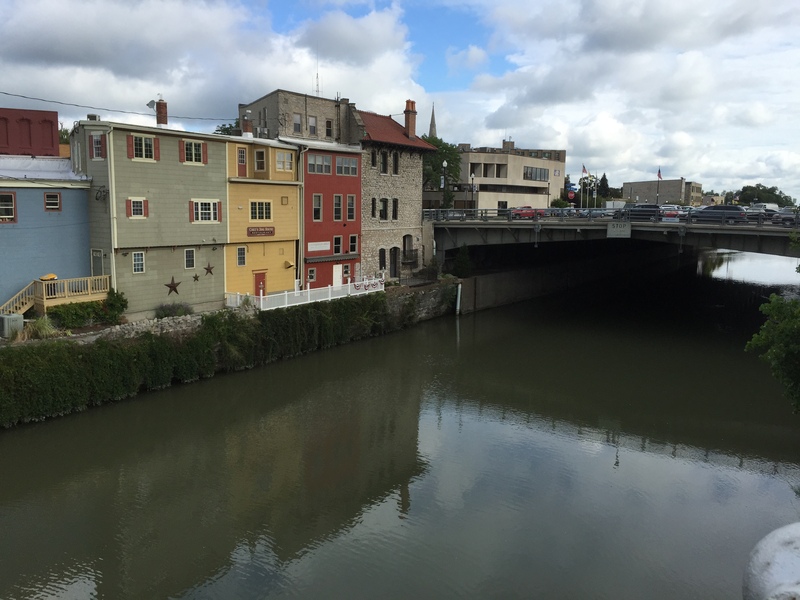 About 20 miles from here is the town of Lockport, New York. 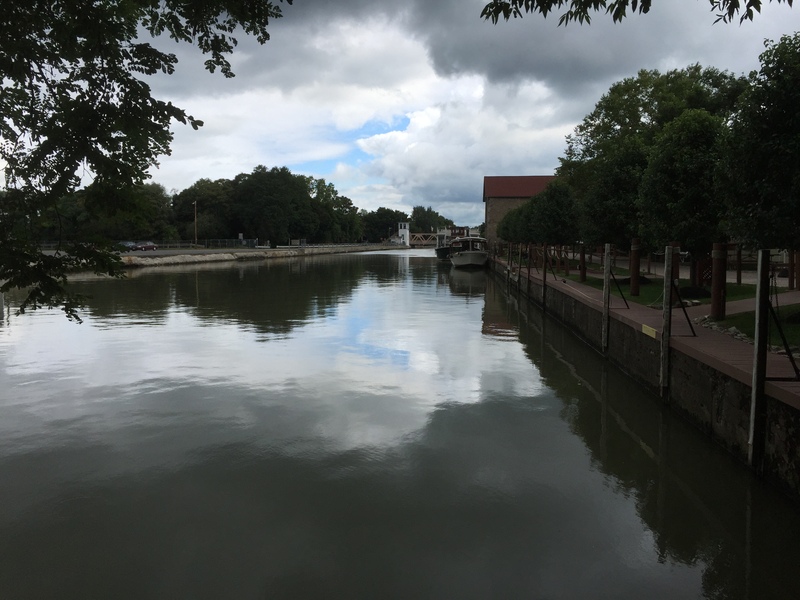 The Erie Canal runs right through the middle of the town. There’s a really good museum here with everything you ever wanted to know about the origin and construction of the canal about 200 years ago. We walked along part of the canal and took some pictures. 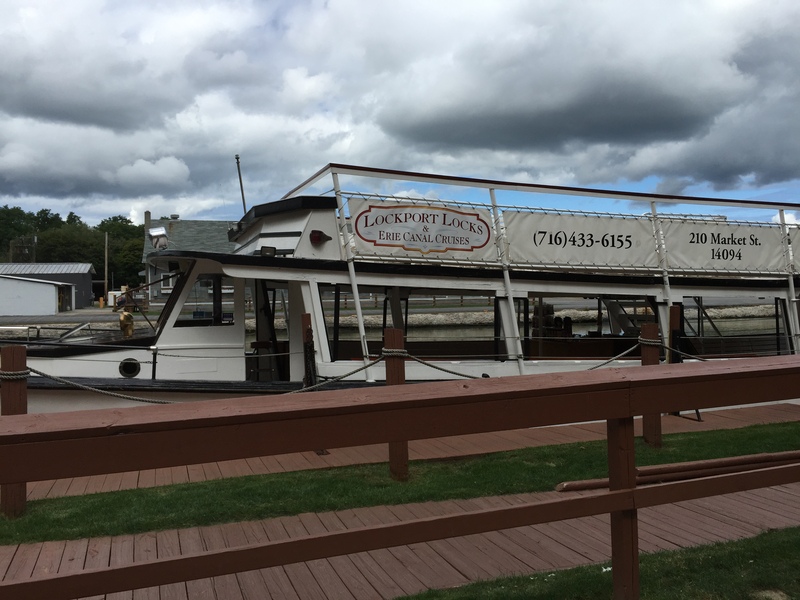 There are boat tours here too. 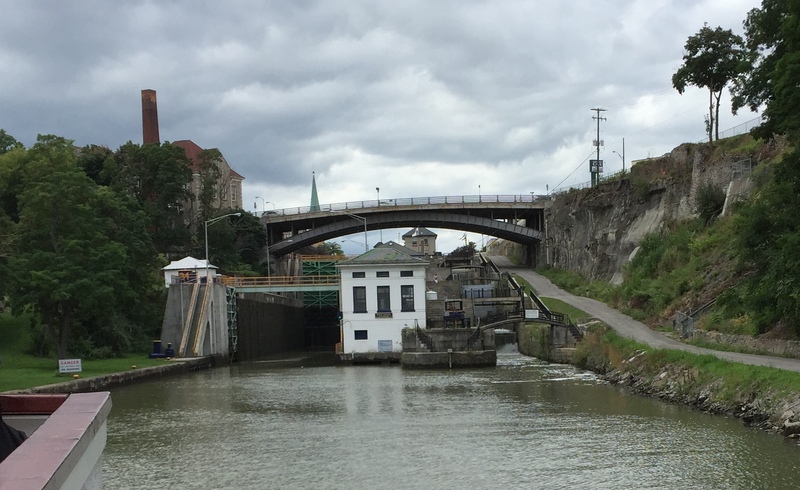 We got tickets for the 12:30 tour and boarded the Lockview V for a 90 minute cruise up and down a section of the Eric Canal..
Our cruise brought us through the historic and rebuilt locks. 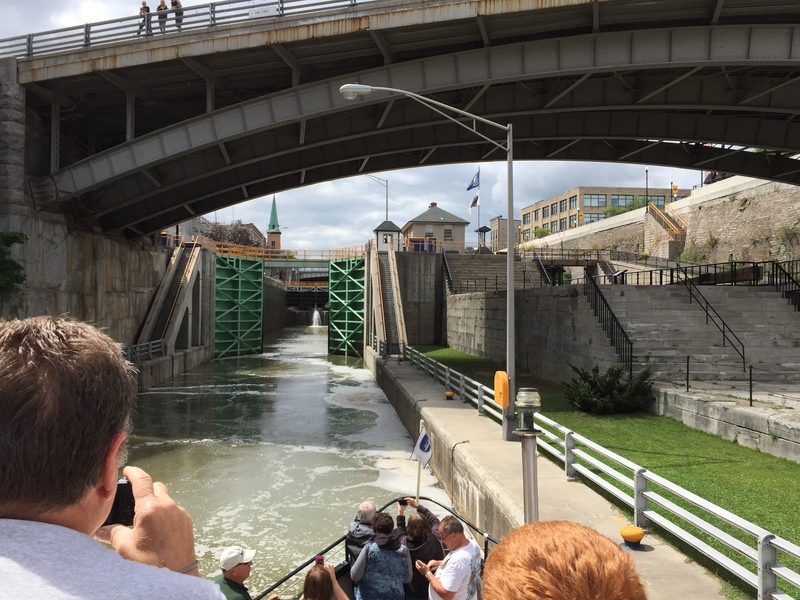 The “Flight of Five”, the original series of 5 locks going upstream alongside 5 locks going down stream. The locks have been rebuilt a few times over the years but part of the original 5 on one side remains. 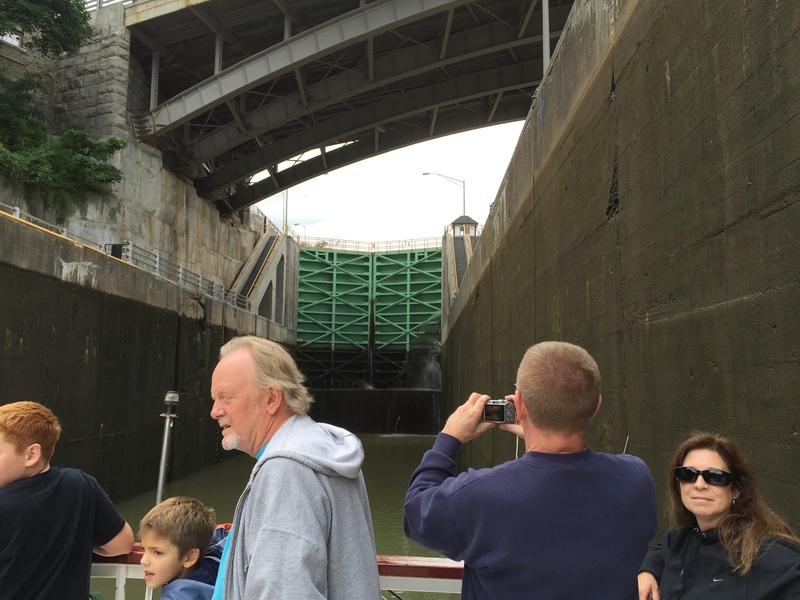 Our boat entered the left side, two larger locks, bringing us up 45 feet. The inverted Howe Truss bridge, built in 1902, spans the Erie Canal. 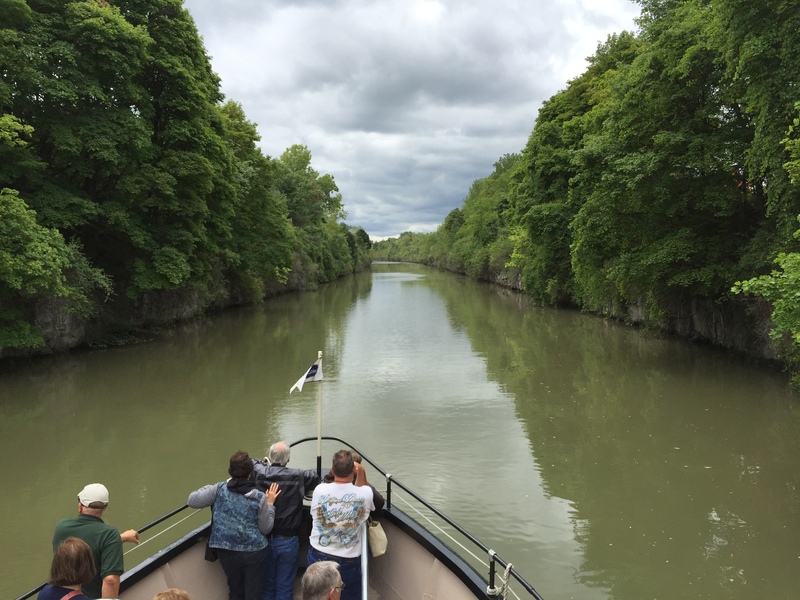 Legend says that the rail company built it this way to block large loads of goods being carried by boat on the canal so they would be forced to use the train. Who knows if it’s true, but it’s a good story. It was an enjoyable, informative, tour. After that we returned to the RV just as it started to rain. 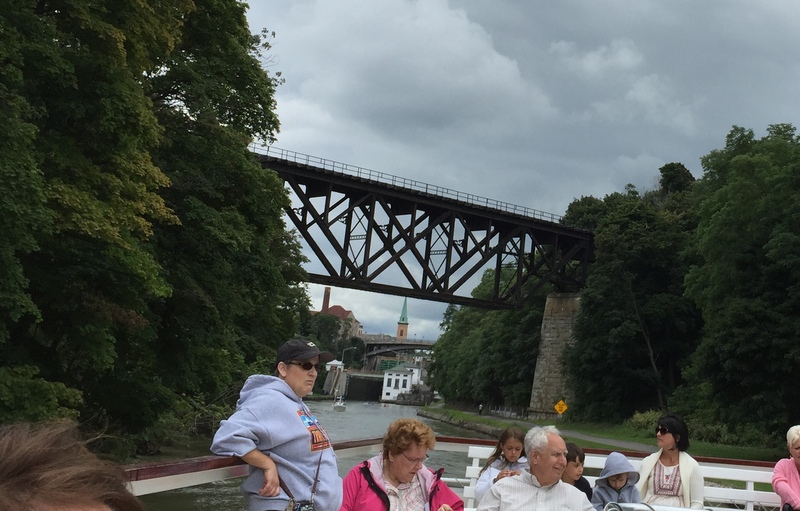 This entry was posted in August, Daily Post, New York and tagged Bridges, Erie Canal, Tours. Bookmark the permalink.